Of all the beautiful locations in Cape Town two have been specifically chosen for their safety, beauty and character. 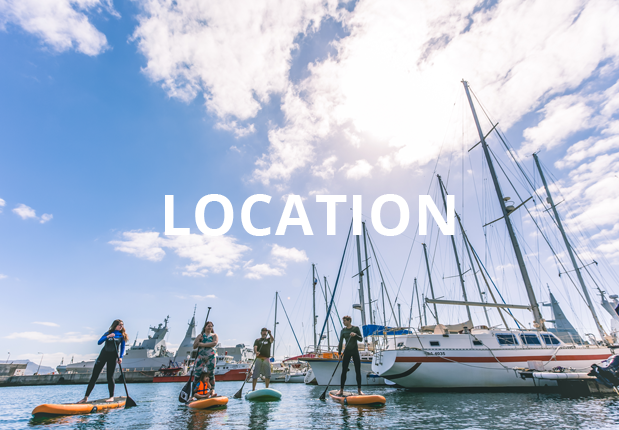 Muizenberg for the Learn2Surf being recognised as one of the top 20 Learn2Surf, Beaches in the world and Simon’s Town with its rich Naval history and safe protected bay with an abundance of interesting sea life. Share a healthier way of life.  The Surfshack Experience is not just about learning to Surf, Stand Up Paddle Board or Giving Back, it’s about sharing a healthier more playful way of life. 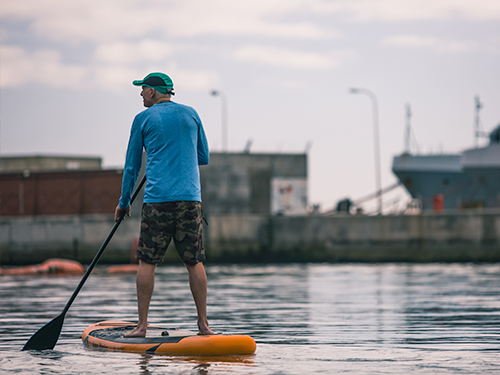 The health benefits of engaging in surfing and stand up paddling are significant, an excellent cardiovascular fitness workout. We all know that saltwater heals and the colour blue calms but did you know that negative ions created by wave action can rejuvenate and re energize your body thereby counterbalancing the negative effects of positive ions, created by modern day to day living, pollution, electronic devices and air conditioners. Needing your daily dose of VitaminSea? 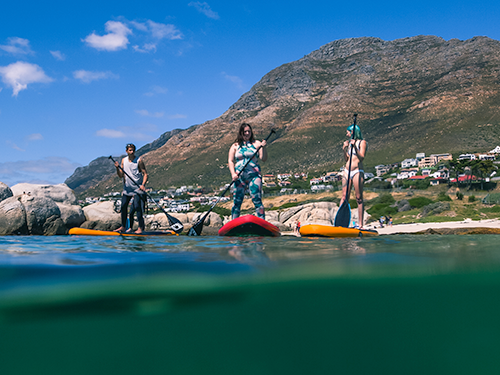 Look no further than Surfshack SUP Simon’s Town. 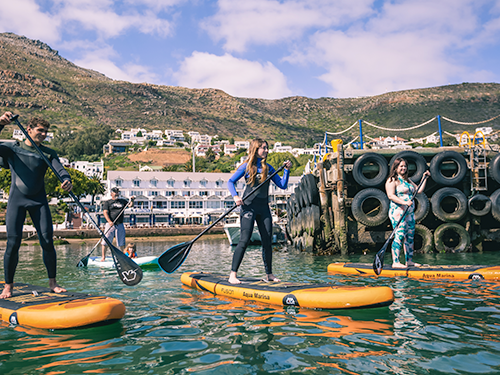 Learn to Stand Up Paddle in the calm waters of Simon’s Town Quays, ideal for beginners to find their feet and practise their technique in the protected basin.The bay is a visual delight with an ever changing vista of seals and penguins at play, yachts gliding by and the Navy practicing their manoeuvres. 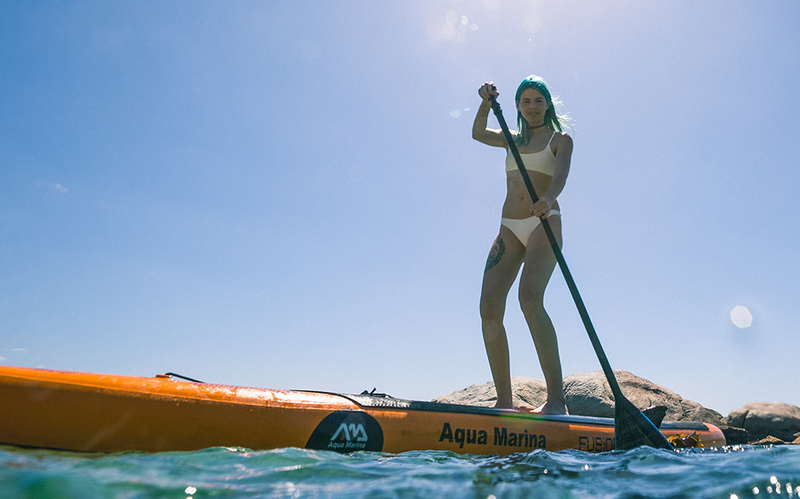 On a good day the kelp forests come alive with colourful sea creatures.The coastline is filled with interesting beaches and perfect for the more adventurous or experienced paddlers to explore. 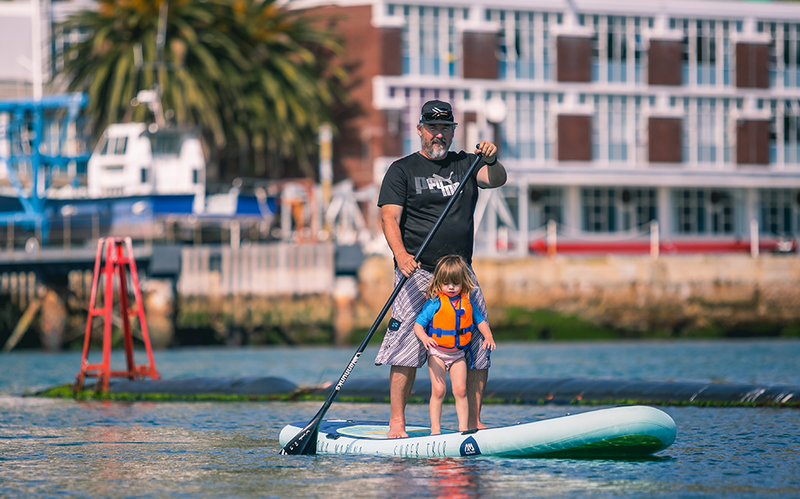 Sessions are 1hr with an introduction and safety talk, then a paddle around Simon’s Town. Price per person. Two people per lesson. Prices per person. Minimum of three people per lesson. 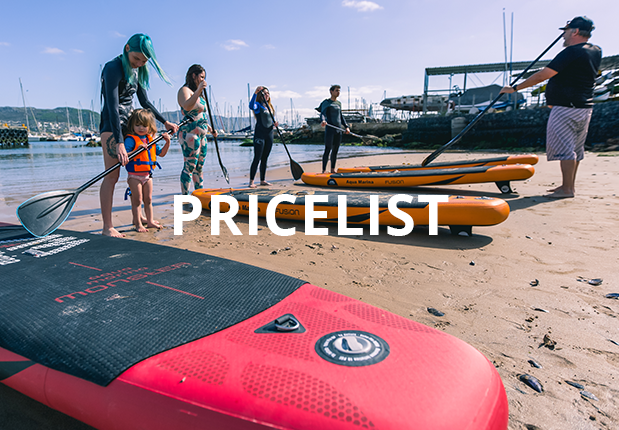 Experienced Stand Up Paddlers only. 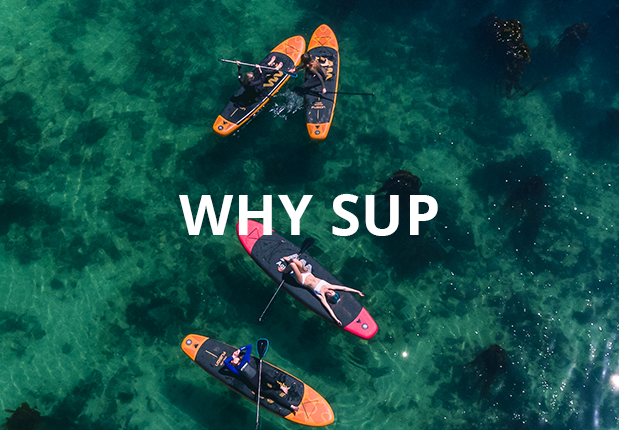 Package of 5 1hr SUP session per person includes equipment and a guide. Packages can not be shared. 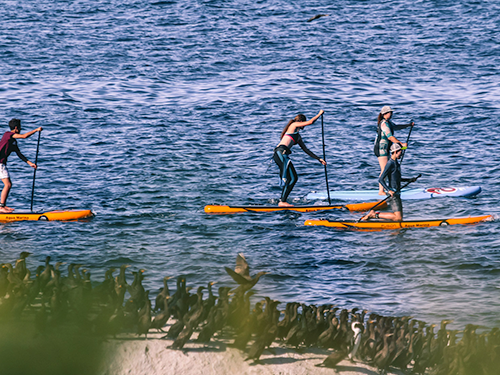 Tours are 1hr30 with a crash course in Stand Up Paddling then a trip passed Simon’s Towns popular penguin beaches. For Safest reasons tours are weather dependant. Minimum of two people per tour.